See what my PMC class learnt today! 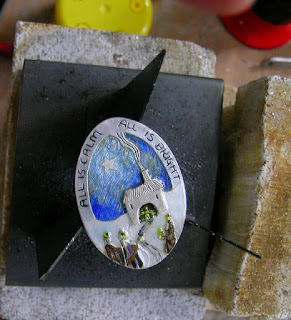 Today my fabulous "intro course" students learnt how to use silver clay. They learnt setting with CZ stones, Dichroic Glass Cabs, Resin work (they even did some soldering too).